The Ecopia series was specially constructed with a focus on enhancing fuel efficacy. Another aim behind the dynamic series was to offer improved tread life. 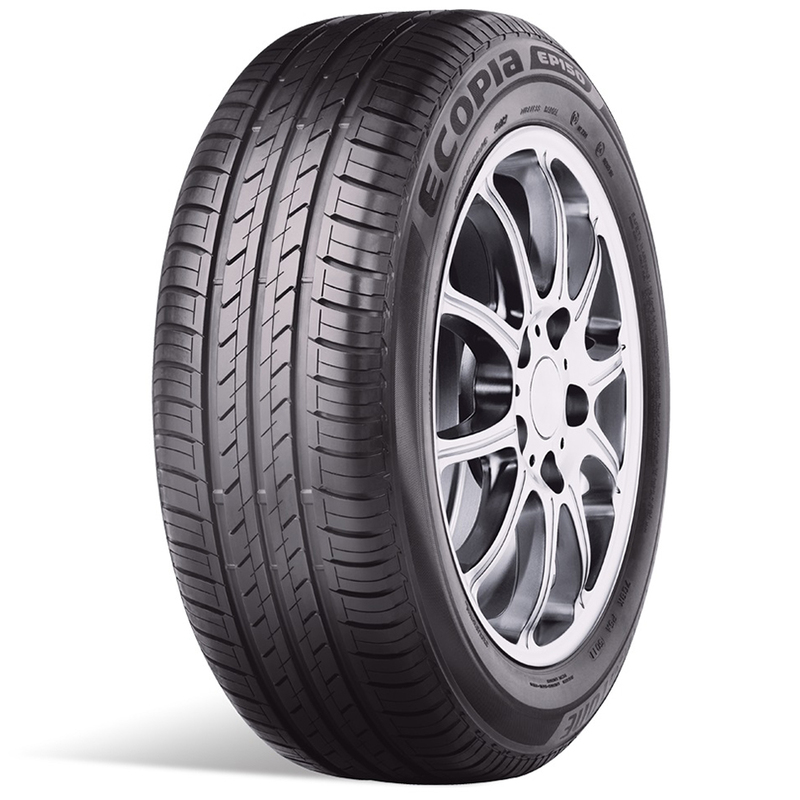 One of the more notable features of the Ecopia EP150 is its unique tread compound that offers low rolling resistance. Bridgestone Ecopia EP150 promises to cut the fuel consumption by a good 7 percent. The low resistance further enhances the ability to accelerate quicker than its counterparts. The new nano particle technology has been the main cause behind the low resistance offered by the tyre protecting it from overheating. You can catch a bit more speed on the corners when it comes to wet tracks, whereas hard brakes would certainly be absorbed far more easily compared to a lot of its competitors. Sudden directional changes are also easier to handle. The EP150 offers better fuel efficiency; courtesy low rolling resistance. It ensures longer tyre life due to its unique tyre compound. It has been an OE fitment tyre to many cars from leading automobile manufacturers due to its all-round durability and performance oriented nature. Water is effectively evacuated through its straight main grooves that provide better wet grip. The EP150 provides excellent handling and control; thanks to the O-Bead technology. The tread pattern enables better noise reduction. The tubeless tyre is backed by manufacturers standard warranty and is made available in varied rim dimensions. It has ability to manage high speed on wet tracks and even while cornering. It absorbs sudden brakes without incurring any damage.